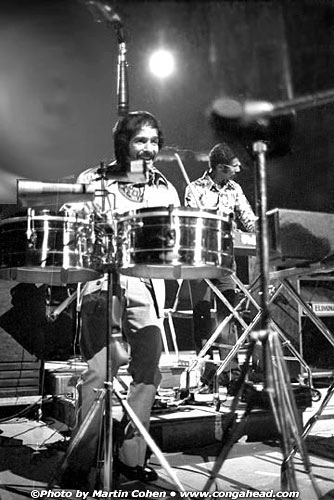 An original, co-founding member of Cortijo y su Combo, singer/songwriter Sammy Ayala was part of the first all-black orchestra featured over Puerto Rican television daily in 1954 ….. ten years BEFORE the civil rights act was signed into Congress in the U.S. Rafael Cortijo’s group fused the music of the great Antilles, crossing color and economic divides, to pave the way for the upbeat salsa music we enjoy today. 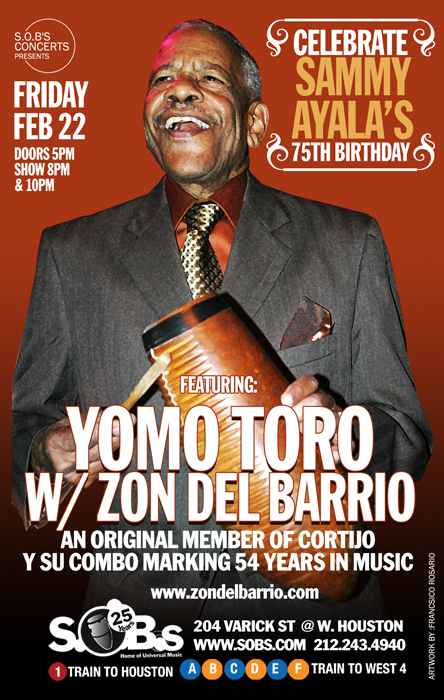 Active in his senior years, Sammy Ayala is a member of Zon del Barrio alongside Yomo Toro who will be celebrating Sammy’s birthday. Read their bios @ www.zondelbarrio.com. Take a look, hear the music, and i’m sure you’ll agree that Sammy’s life makes for an inspirational evening.